Home » Forex » The US Dollar fell versus a basket of major currencies for the second session on Wednesday. 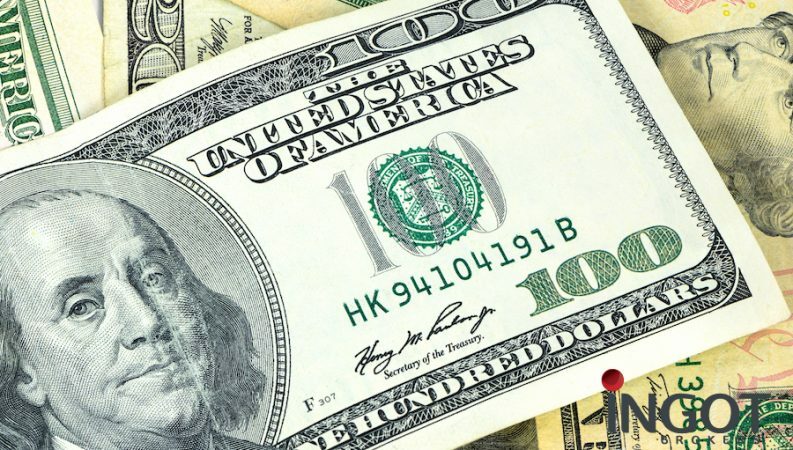 The US Dollar fell versus a basket of major currencies for the second session on Wednesday, the index was pressured by the political uncertainties in Europe and Brexit updates. The U.S Dollar index lost 0.08 percent versus a basket of six major currencies on Wednesday to end the session at 96.83. Over in Europe, EURUSD rose by 0.17 percent for the second session in a row to close the session at 1.13070 as the British Prime Minister Theresa May was backed up from her cabinet on her Brexit deal. Over in the United Kingdom, the Sterling rose on Wednesday’s session after the traders kept an eye on the latest developments between Britain and the EU on Brexit hopes. The GBPUSD advanced by 0.12 percent versus the U.S. Dollar to trade at 1.29898 at the close. In terms of Safe-havens, both the Swiss Franc and the Japanese Yen advanced against the U.S. Dollar. The USDCHF and USDJPY ended Wednesday’s trading session lower at 1.00616 and 113.614 respectively. Precious metal Gold extended gains on yesterday’s session r, as the U.S. Dollar faced some losses. The Gold rose against Greenback by around 0.70 percent to settle down at 1210.65 on Wednesday. In terms of commodity-currencies, the Loonie Dollar edged higher against its U.S. counterpart as oil prices rose on hopes for output cuts. The USDCAD fell to end the session on Wednesday at 1.32395. Meanwhile, in Asia, the AUDUSD rose by 0.15 percent to trade at 0.72286 and the NZDUSD gained around 0.44 percent to trade at 0.67928 at the close. In Cryptocurrencies, Bitcoin, Litecoin and Ethereum were trading significantly lower versus the Greenback on Wednesday to settle at 5524.21 BTCUSD, 40.35 LTCUSD, and 173.51 ETHUSD.